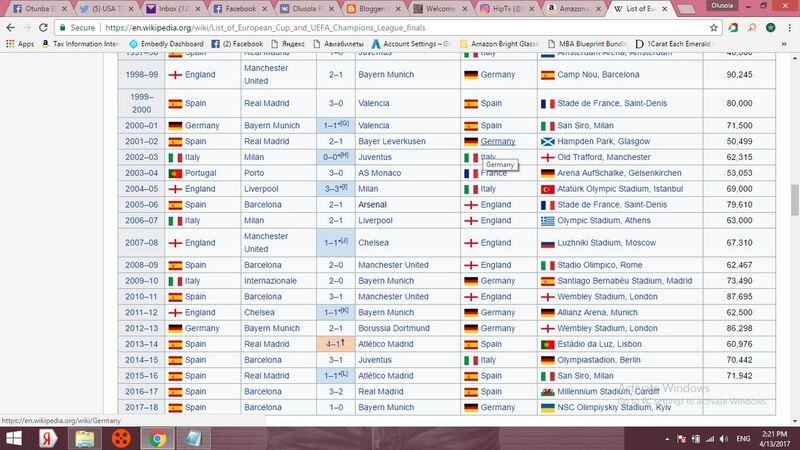 Wikipedia have already chosen Barcelona as the winner of 2016-2017 and 2017-18 UEFA champions league season.. They haven't played final this year and next year, but have already updated Barcelona as the winner. It is on Wikipedia..
FIFA, UEFA corruption... Barcelona are cheats... Wikipedia it's not a mistake.. .It is intentional..